Details zu Deadmau5 - Not Exactly + We fail (Mau5trap Rec.) 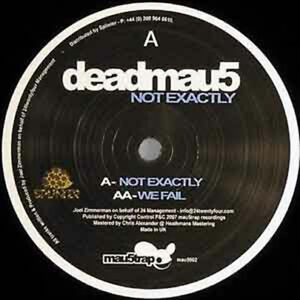 CLUBHIT NEU 12"
Deadmau5 - Not Exactly + We fail (Mau5trap Rec.) CLUBHIT NEU 12"